Facebook, the popular social network which has administered a rise in user database and specially with people seen gluing towards Facebook games, will be gifted with the legendary game, Dragon Age Legends. A recent study revealed that more users were seen playing games online on the social network rather updating status, sharing content or uploading pictures. Bio Ware which is a division of Electronic Arts Inc., was proud enough to announce the release of Dragon Age Legends over the social network. The newly unveiled game is inspired by Dragon Age but custom designed for the Facebook users, making it suitable for all ages.The game would preview as a Play 4 Free Facebook game. The game is specially designed to bring out the casual play making it compatible with social networks. 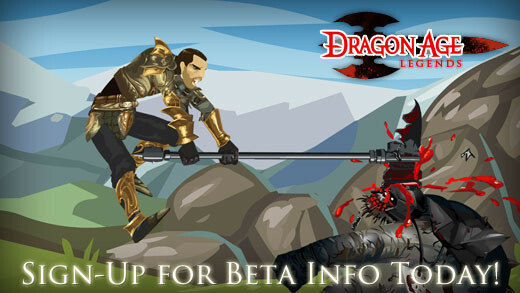 The game is marked to be released on Facebook by end of February 2011, with Bio Ware looking forward to promote the upcoming release of Dragon Age II. Dragon Age Legends would give gamers the hand to earn exclusive unlocks for Dragon Age II, which is already eyed as one of the most highly anticipated video game of 2011. Our goal is to change the perception of social network games and attract new players to the Facebook platform by raising the quality bar. Dragon Age Legends will deliver a deep, sophisticated experience, and we will continue to delight gamers by adding new features and content far into the future. With the introduction of Dragon Age Legends over the social network, Facebook friends would be able to play or challenge their friends, share rewards, build up a kingdom along with earning loot. Users would also have access to customize characters and earn upgrades by tackling demons and darkspawn, to earn the status of becoming a ‘Legendary Hero’. While Dragon Age Legends is to preview on Facebook in February, Dragon Age II will hit gaming stores on March 8, 2011.